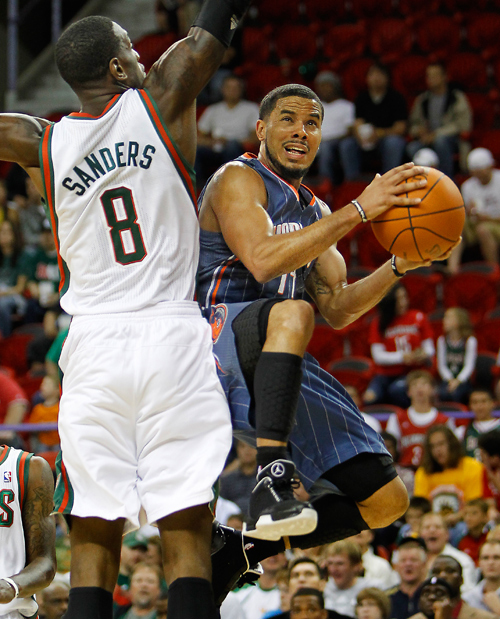 Photos of the Milwaukee Bucks vs. Charlotte Bobcats in NBA preseason basketball. Here are a few of my favorite photos from the Milwaukee Bucks vs. the Charlotte Bobcats in NBA preseason basketball at the Resch Center in Green Bay, Wisconsin on Saturday, October 9th, 2010. The Bucks won the game 86-78. 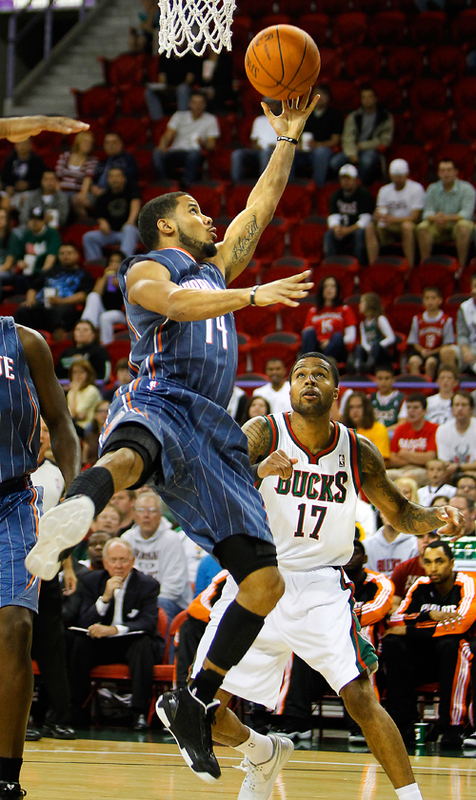 The Bucks head into the season with high hopes. It was a nice way to start out the basketball season in Green Bay. 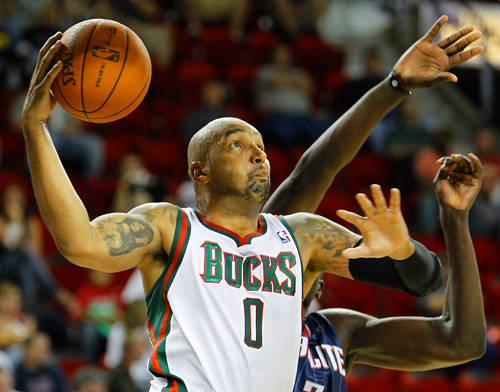 Milwaukee Bucks power forward Drew Gooden drives past Charlotte Bobcats DeSagana Diop. 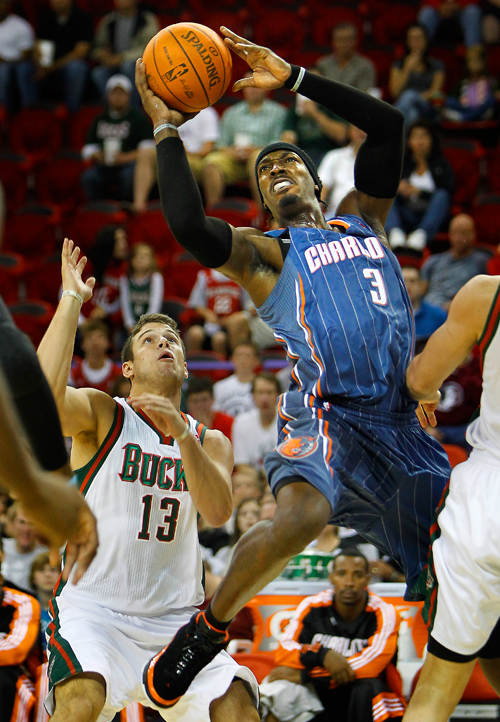 Charlotte Bobcats Gerald Wallace gets past Milwaukee Bucks guard Chris Kramer. Charlotte Bobcats point guard D.J. Augustin shoot in front of Milwaukee Bucks guard-forward Chris Douglas-Roberts. Charlotte Bobcats small forward Darius Miles looks for room under the basket. 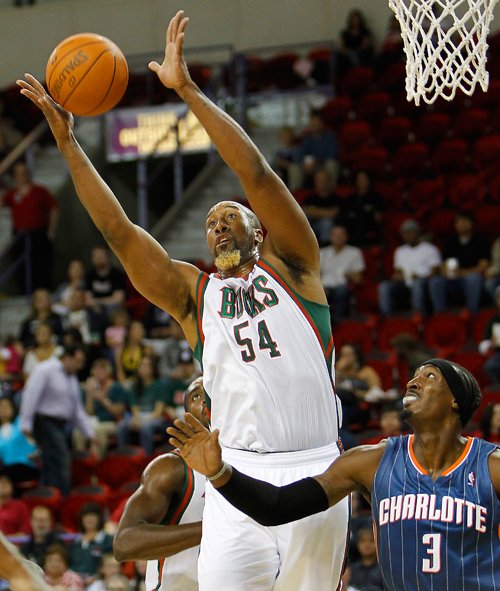 Charlotte Bobcats forward Gerald Wallace drives around the defense of Milwaukee Bucks guard Chris Kramer. Charlotte Bobcats point guard D.J. Augustin tries to get past Milwaukee Bucks point guard Earl Boykin. The Milwaukee Bucks Energee dance team shows off their hair styles. « Photos From The Green Bay Packers vs The Detroit Lions NFL Football Game.